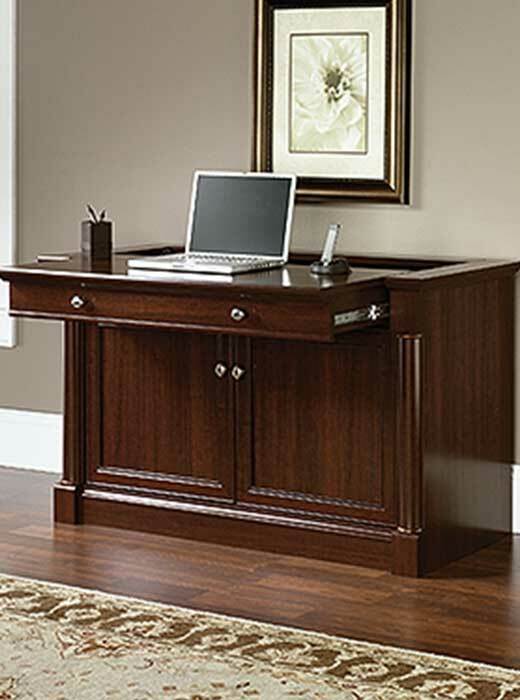 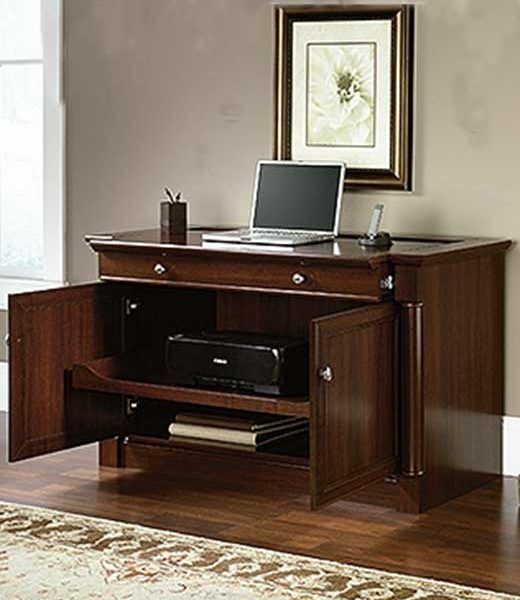 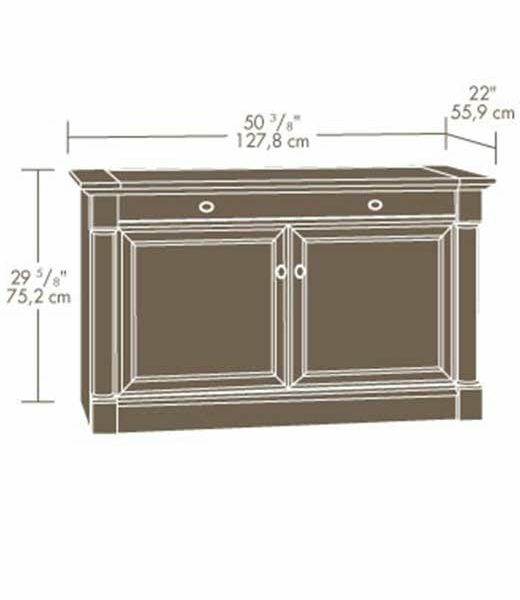 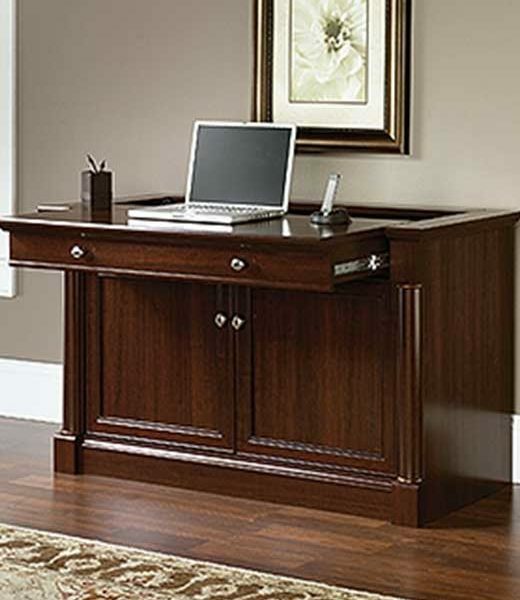 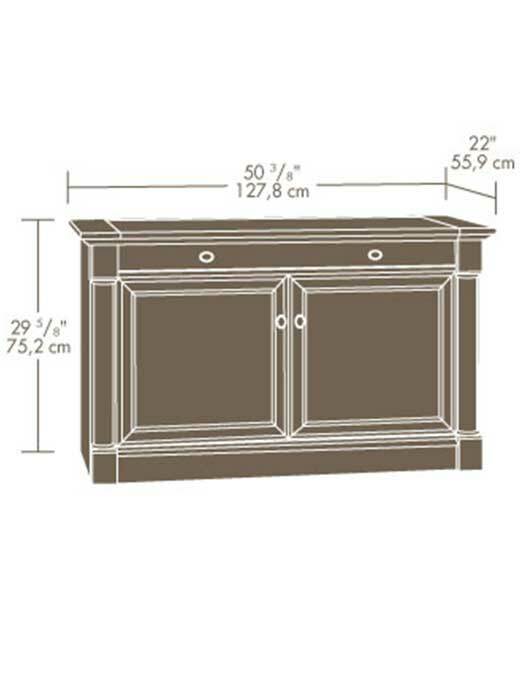 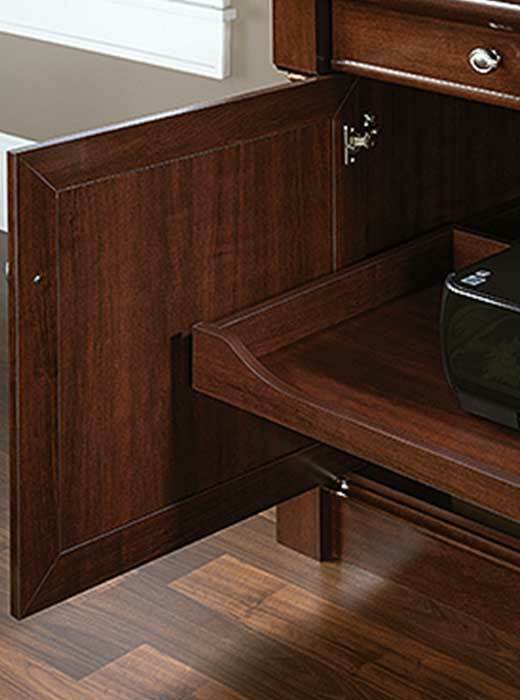 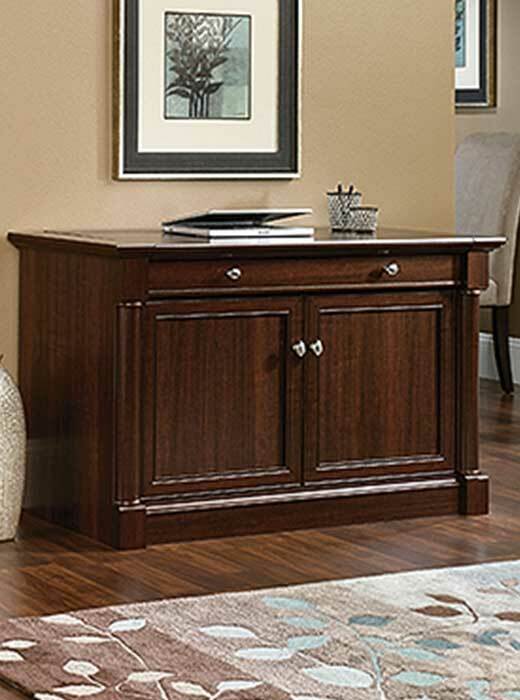 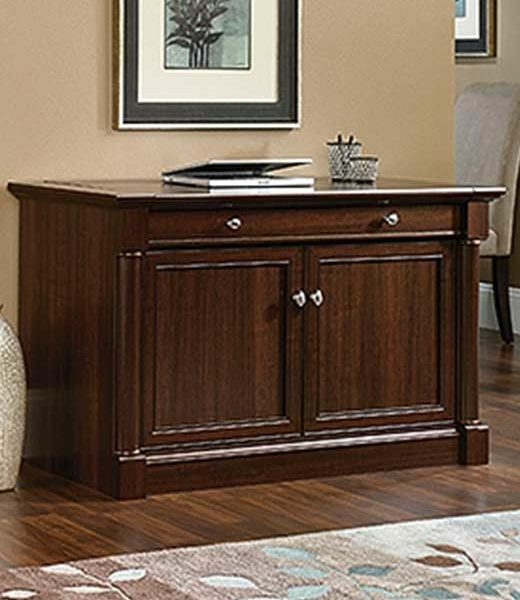 SmartCenter® Console in a Select Cherry finish. 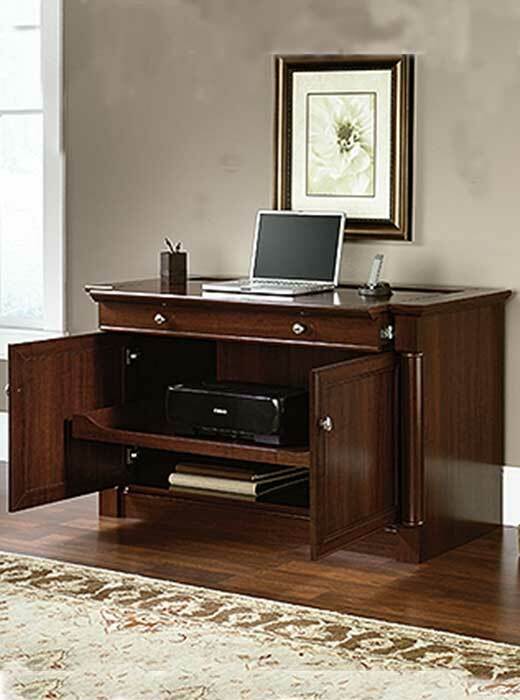 The SmartCenter® features charging station with power strip and felted bottom for quiet and protective mobile electronics storage. 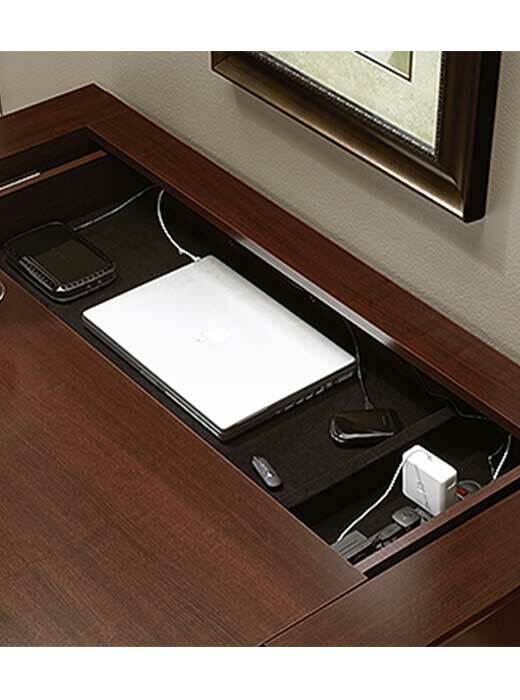 The Top slides out on full-extension ball bearing slides to reveal storage for laptops, phones and tablets. 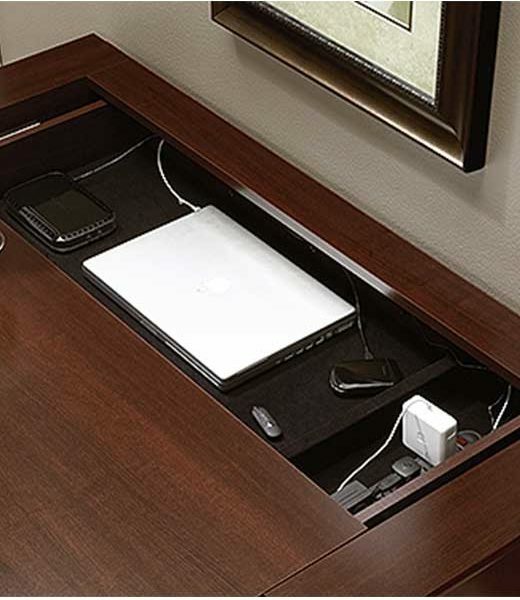 Top provides full-length cord pass-through for easy table-top charging of mobile devices. 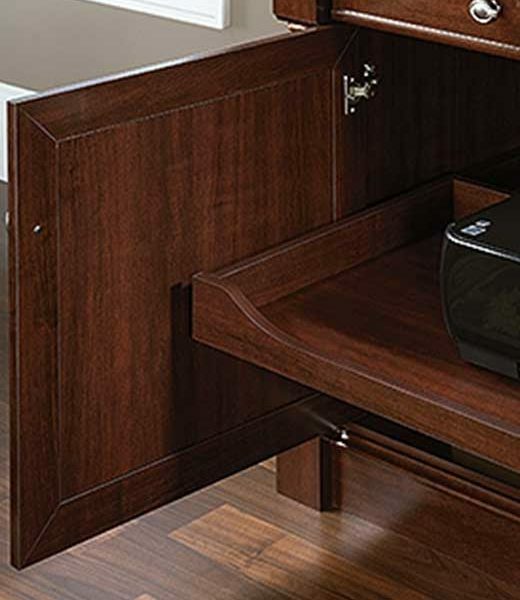 Hidden storage behind doors features an adjustable, slide-out component tray with metal runners and safety stops.